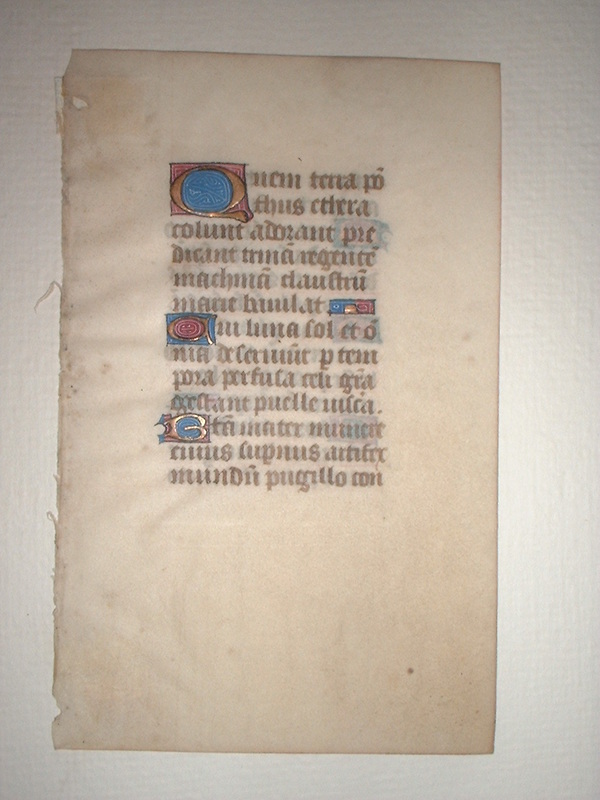 Text: This leaf contains text from the Hours of the Virgin at Matins, specifically the text of the hymn "Quem terra." 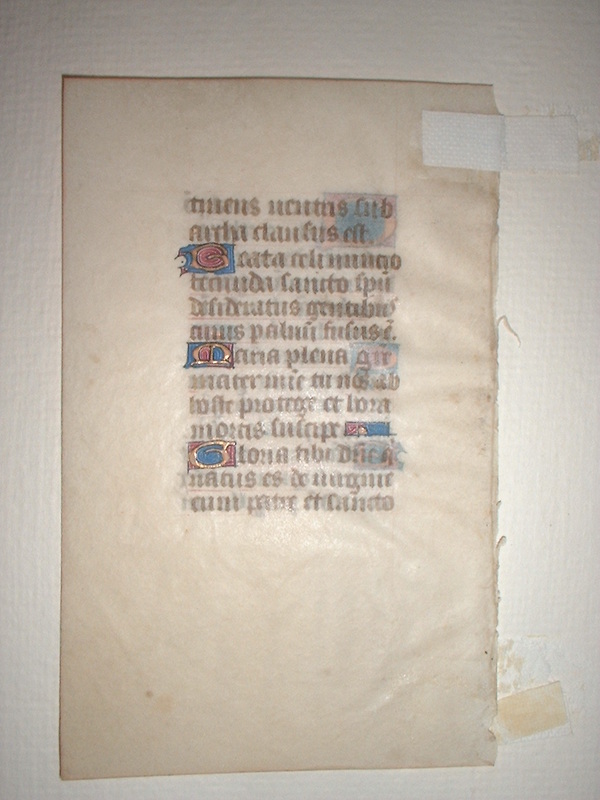 Quem terra, pontus, aethera, Colunt, adorant, praedicant, Trinam regentem machinam, Claustrum Mariae baiulat. Cui Luna, Sol, et omnia, Deserviunt per tempora: Perfusa caeli gratia, Gestant puellae viscera. The closure of Maria bare. -tinens, Ventris sub arca clausus est. Beata caeli nuncio, Foecunda sancto spiritu, Desideratus gentibus, Cuius per aluum fusus est. ...Who in his hand the world doth weld. Whom nations had desired most.